Parliament was dissolved on June 26, 2015 and the general election has been scheduled to take place on August 17. Under normal circumstances, attention would have turned to strengths and weaknesses of the ruling and opposition parties. This time, however, everyone wants to know what would be the next move of former president Mahinda Rajapaksa, because his decisions and actions could very well determine the outcome of the election and the next government. Rajapaksa wants to be nominated as the prime ministerial candidate because he believes that he has the popular support to win the election. Indeed, he seems to have the capacity to win this election as a Sri Lanka Freedom Party (SLFP) candidate. He has been supporting the campaign to bring him back to power and according to reports, he has asked President Sirisena, to nominate him. There are two ways for Rajapaksa to contest this election. Either contest under the SLFP-led coalition or form his own group and contest. The first option seems completely impractical largely due the resistance of President Sirisena. Sirisena most probably will not nominate Rajapaksa as the prime ministerial candidate. One, the hostility between Sirisena and Rajapaksa is too serious and Sirisena does not trust the former president’s motivations. He would not have forgotten the realities that existed during the presidential election. Two, if elected and appointed as the prime minister, Rajapaksa would completely overshadow the president due his sheer personality. 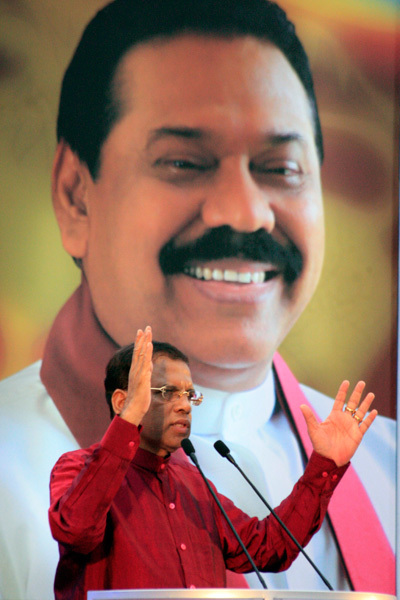 Rajapaksa, also has the support within the party to dominate the government. He will not be a nominal prime minister, but in practice would transform the president into an insignificant figurehead. Sirisena is not going to like that. Third, paving the way for Rajapaksa to become the prime minister could very well go against the mandate given in January 2015. 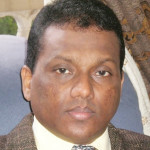 The mandate was to remove Rajapaksa from power. It is imperative to note that Rajapaksa has the right to contest and hold office, but Sirisena has no moral authority to bring him pack to power. The second option, i.e, forming his own group and contesting under a separate symbol also seems remote due to Rajapaksa’s loyalty towards his party. 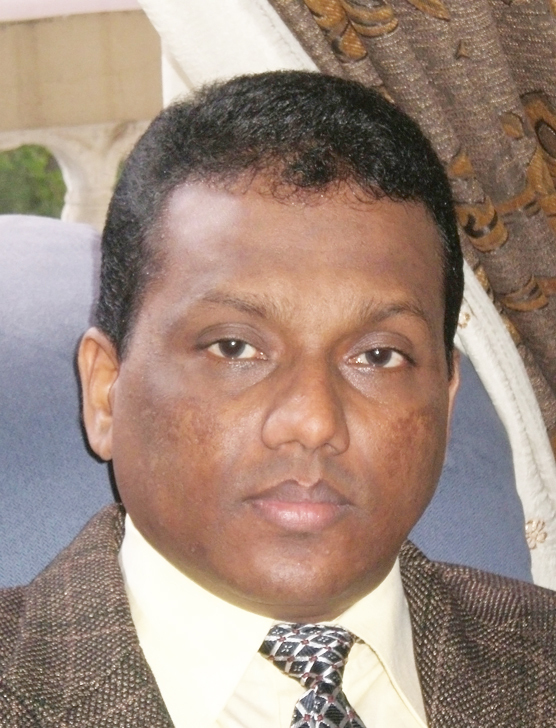 Leading his own group formally to contest the election will divide the SLFP. Meanwhile, it is also important to note that there are minor political parties and individual members of the SLFP who would be hesitant to contest under the SLFP-led coalition if Rajapaksa is not accommodated. These groups and individuals probably want to contest as a separate entity and would compel Rajapaksa to lead the group. One option available for Rajapaksa is to informally endorse and promote the third front, which is loyal to him. This would be an extension of Rajapaksa’s present strategy. Rajapaksa will have the option of entering parliament from the national list of this third front after the election. One of the secondary reasons why Rajapaksa probably is not keen to leave the SLFP and lead his own group is that he is not sure how much votes he could garner in a general election. In the last presidential election, he polled 47.58 percent of the votes cast. He cannot assume that he or his group will get all of these votes because in a general election voters cast their votes for regional leaders. For example, in January, most of the SLFP supporters would have voted for Rajapaksa, but in the general election they will vote for candidates of their preference and one could safely assume that many of them will vote for SLFP candidates. Rajapaksa alone cannot determine these votes. What is clear is that Rajapaksa’s 48 percent will definitely break. This equation will also play a part in Rajapaksa’s decision, which is expected to be announced soon. Meanwhile, the United National Party (UNP), which headed the government, is also facing a dilemma and some level of uncertainty. The UNP-led coalition that promoted Maithripala Sirisena during the presidential election, polled 51.28 percent of the votes. There is no reason to believe that a substantial number of voters who backed Rajapaksa in January will vote for the UNP in the general election. Therefore, basically, the UNP has to work with the 51 percent votes. However, the coalition that won the 51 percent cannot be retained. The Jathika Hela Urumaya (JHU) cannot and most probably would not contest under a UNP-led coalition. The Janatha Vimukthi Peramuna (JVP), which indirectly promoted candidate Sirisena will contest alone as it cannot support the SLFP or the UNP. A vast majority of the Tamil votes in the North and East which went to Sirisena in the presidential election will go to the TNA (and other Tamil parties). The UNP-led alliance also gained SLFP votes that favored Sirisena. These votes will go to the SLFP in the general election; not the UNP. Sirisena is expected to lead the SLFP campaign and he probably will promote his party mainly because of the pressure from the Rajapaksa faction. He cannot be neutral. This will take at least 15 percent of the total votes from what the UNP-led coalition gained in January. Consequently, the UNP most probably will struggle to win 50 percent of the parliamentary seats. Therefore, in order to retain power, the UNP would try to form a broad coalition before and after the election. The nature and scope of this coalition will determine the UNP’s capacity to win this election. The UNP single handedly cannot win the election. It is possible that the UNP presently is trying to woo the minority parties including Muslim parties, the TNA and Mano Ganesan’s Democratic People’s Front. The Ceylon Worker’s Congress (CWC) and some of the other plantation Tamil parties could also be wooed. However, if Rajapaksa decides to contest directly or indirectly, the UNP’s chances will increase drastically as it would divide the SLFP votes, which in turn would facilitate more “bonus seats” for the UNP. This is exactly why Rajapaksa’s decision is significant in this election. Prime Minister Wickremesinghe’s challenge to Rajapaksa to contest and defeat him cannot be mere rhetoric. It is part of the strategy. From the president’s point of view this scenario cannot be too bad because the Sirisena-UNP partnership seems to be working well and most probably will continue. Also, if the UNP manages to form the government, the president will be able to control both major parties as head of the government and the leader of the SLFP. *Dr. S. I. Keethaponcalan is Chair of the Conflict Resolution Department, Salisbury University, Maryland. « පාර්ලිමේන්තු ගොඩනැගිල්ල හිස්ව තිබේ: අපි දැන් අමනයින් පිරිසක් තෝරා පත්කර ගමුද?